A little bit about our history. 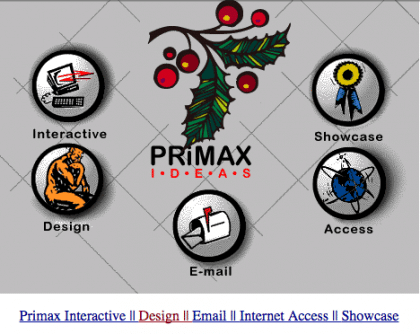 We began making websites in 1994 and The Primax Marketing Group was incorporated in 1995. In the mid-90s, websites and the internet were a new concept. We had to sell people on the idea that they needed a website for their companies marketing. We’ve been able to adapt and learn new technologies along the way. We had a fun time making Adobe Flash sites and games for about 10 years. What is Flash?! 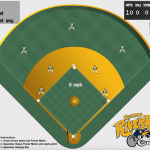 Check out our Flash Homerun Derby Game from the late 90s. We’ve moved on from flash and “selling” people on the concept that they needed a website because the internet was taking off. The answer? Study Google. This is the beginning of Primax Studio’s SEO journey. Not only are we one of Cincinnati’s oldest Web Design companies, but we are one of the oldest firms specializing in SEO! Google was onto something. They were growing and everyone was using their service. Now that everyone was using Google, how can they monetize their service? On October 23, 2000, AdWords was created with 350 Advertisers. Primax Studio created our first AdWords campaign in 2002 and has never looked back. A finely tuned AdWords campaign can deliver customers to your front door, on your phone, in your inbox, or web sales on your e-commerce site. MySpace.com launched August 1, 2003. Another key day in the development of the internet. MySpace.com was huge! From 2005 until early 2008, Myspace was the most visited social networking site in the world, attracting 75.9 million unique visitors a month at its 2008 peak. Myspace unique ability for users to create their own personalized look and feeling web presence was also their demise. Myspace pages became really difficult to view and nothing was consistent. Zuckerberg had an idea and his design and execution were clean. In 2004 Facebook was founded. Facebook’s success was the consistency of platform and the ease that you could connect with your friends. There’s more to this social media than just connecting with friends. Businesses can connect to their customers. They can keep their message fresh and in their customers feed with Social Media Marketing. Our Studio’s skill set and development have paralleled the key growth points of the internet. Primax Studio is one of the few full-service Web Design, Programming, SEO + AdWords, and Social Media Marketing Studios in Cincinnati! Drop us an email or give us a call to discuss your online marketing needs.